Entz is leaving Fox after seven years. John Entz, the Fox Sports President of Production, is leaving the network after seven years. The highly respected executive was given the news yesterday. As reported by SBJ’s John Ourand, he’ll be replaced Brad Zager, who will oversee the newly merged production and operations department. We’re told Mark Silverman was in attendance when the news was delivered, but Fox Sports CEO Eric Shanks was not. Prior to his departure, Entz will likely spend some time winding down his tenure at Fox, where he’s overseen production of live events since 2012. The amount of games produced by Fox Sports has spiked during his time with the company due the acquisition of more live rights and the launch of FS1. The timing of this move makes sense, as insiders believe that Fox will begin to focus less on niche sports properties and focus more on their existing portfolio of tier one rights while also being selective in acquiring major properties. Recently, Fox moved on from both the UEFA Champions League, Europa League, and Supercross. The company will also soon be parting with their wide swath of RSNs. It’s believed that as the New Fox readies itself for life without the RSNs and the TV and movie assets it’s selling to Disney, the company is trying to be proactive reining in some costs. Sources to AA have indicated that the management structure of Fox Sports was deemed “a bit too top heavy,” because Fox Sports has four individuals with a President title or higher. 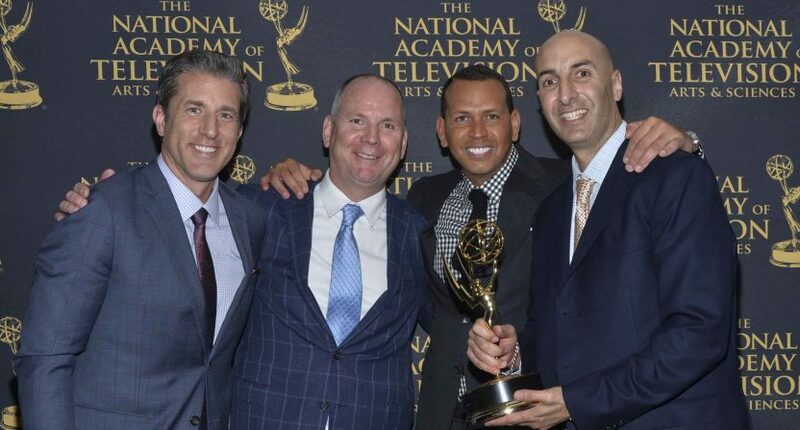 Entz was in charge of production, Mark Silverman holds the role of President of National Networks, Jeff Krolic is President of the soon to be spun off RSN business, and Eric Shanks is CEO of the Fox Sports group. Zager retaining his EVP status in the move now leaves Fox Sports with one less President with the pending departure of Entz. New Fox is feeling some pressure for a strong first quarterly earning report once the Disney transaction closes, and the directive to slim down the executive ranks likely came from Steve Tomsic, the company’s new CFO. One source believes this decision was “nothing nefarious, just your standard belt tightening to move the stock up a few pennies.” It’s believed there could be further cuts to the executive ranks, although another sources thinks “this is not going to be a bloodbath at all.” Others indicated that Entz, and others who may be affected, will likely receive generous buyouts from Fox. One Fox employee spoke highly of Zager and that he was on this upward trajectory for awhile. Most current and former Fox employees were shocked that someone as revered as Entz would be forced out, and while the move didn’t sit well with many longtime employees, it is part of a continuing trend of Fox Sports moving on from its old guard. The timing of the move makes sense, given Fox just wrapped their busy season with the NFL regular season, NFC playoffs, and college football season all wrapping up over the past month. Fox has the US Open in June, the Women’s World Cup in June and July, college football’s start in late August, the NFL’s start in early September, and the MLB Postseason in October. While a shock to many, this was the earliest time Fox could inform Entz of the move and allow him ample time to line up his next move. Given Entz’s reputation and track record, he should be in high demand, although the specifics about his final departure from Fox are still fluid. Hopefully, there isn’t too much more belt tightening going forward, because we’d like to see Fox continue to invest in further improvements to their live event production.